Cellulitis is a type of skin infection most commonly caused by staphylococcus and streptococcus bacteria, according to medical professionals with MedlinePlus. People with cellulitis can develop symptoms such as skin inflammation or discoloration, pain, fever, fatigue, or muscle aches. In the absence of appropriate treatment, people are at an increased risk of developing complications of cellulitis. The bacteria that cause cellulitis can spread to other regions of a person's body, such as the lymphatic system. Exposure of the lymphatic vessels to bacteria can cause inflammation, a complication of cellulitis called lymphangitis, explain medical experts with The Merck Manuals Online Medical Library. 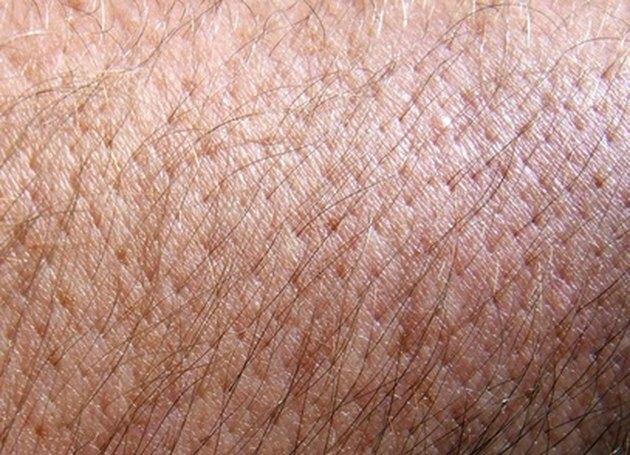 Affected people can develop red streaks across the affected skin region, and the lymph glands may appear enlarged or swollen. Antibiotic treatment is necessary to resolve lymphangitis complications in people with cellulitis, notes Merck. Bacteria from the skin can spread into a person's bones, a complication of cellulitis called osteomyelitis, warn MedlinePlus health professionals. A bone infection can cause pain, redness and swelling within the affected body region. Additional osetomyelitis symptoms can include sweating, fever, chills or lower limb swelling. Without treatment, a bacterial bone infection can destroy a person's bone tissue. Untreated cellulitis can result in death of the affected skin or tissue, a complication called gangrene, report University of Maryland Medical Center health professionals. People with gangrene can develop dark or black patches of skin at the site of tissue death. Extensive gangrene may require limb amputation to resolve infection symptoms, states UMMC. People with untreated cellulitis on the face are at an increased risk of developing meningitis as a complication of this skin infection, reports MedlinePlus. Meningitis is an infection that develops within the membranes that surround and protect the brain and spinal column. This infection is life-threatening, notes MedlinePlus, and can cause symptoms of high fever, severe headache and stiff neck. A bacterial infection of the bloodstream called sepsis can occur as a complication of cellulitis in certain people. According to Merck, sepsis is a potentially fatal infection that can cause increased heart rate, fever, confusion, chills and lightheadedness in affected people. People who develop sepsis complications of cellulitis require immediate, emergency medical care to prevent additional medical problems.